I recently purchased another great product that I felt like sharing with you guys. It came just in time, too! With my daughter going to a babysitter now that I am working again, I finally decided to give in and purchase a wet bag. Lately I have been trying to get better about purchasing from small businesses and companies who make their products in the good ole U.S. Someone on my Facebook page had mentioned 529 Baby, so I checked out her website and decided to give her wet bags a try. There are a few other nice things about her wet bags I would like to add, one of which are the handles. I love the snap handles! They make it easy to carry and to hang on a door nob or towel rack. If you order a semi-custom large bag you can choose between 3 different handle styles. Nifty! 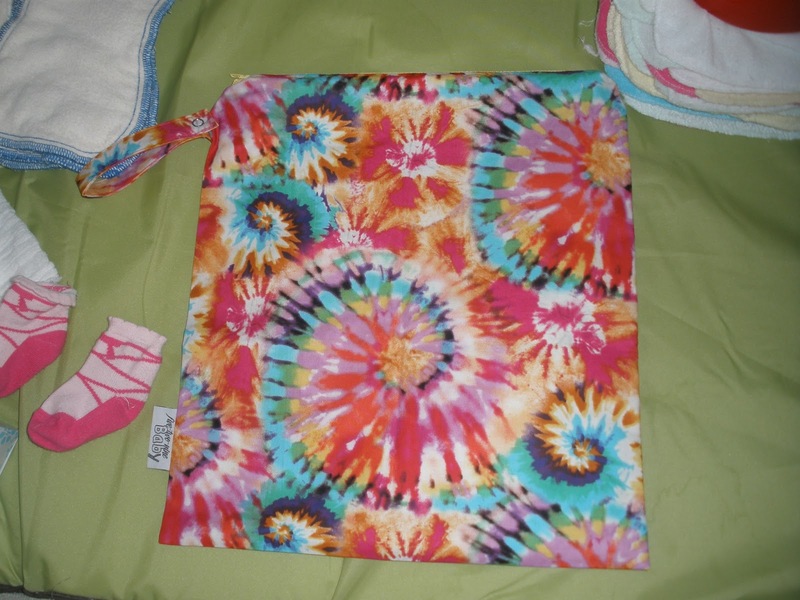 I also like that the PUL material on the inside is made in the U.S. She also makes kitchen and mama cloth wet bags, pail liners, toddler bibs, and produce bags. Last, but not least, she even included two 10% off coupon codes for my next purchase. It was also nice that the care instructions were printed on the coupon as well. So, if you’re in the market for a wet bag in the near future, I highly recommend 529 Baby! Affordable prices for quality products made here right in the U.S.!